The objective of the Library Marketing and Outreach Round Table shall be to provide a forum for discussion regarding effective digital and print methods, including, but not limited to social media, flyers, etc. 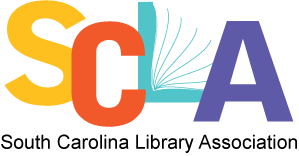 to disseminate information about the value of their respective libraries in South Carolina, and the services and events they offer and to work for the objectives of the South Carolina Library Association. The South Carolina Library Association Library and Marketing Outreach Round Table has an unmoderated forum for communication among libraries. SCLA-LMO-RT listserv is used for Library Marketing and Outreach announcements, discussions, or just general questions about marketing, outreach, social media, displays, and more.